Quick card to share today using the Friendly Preserves stamp set and using one of the colors that is being refreshed. 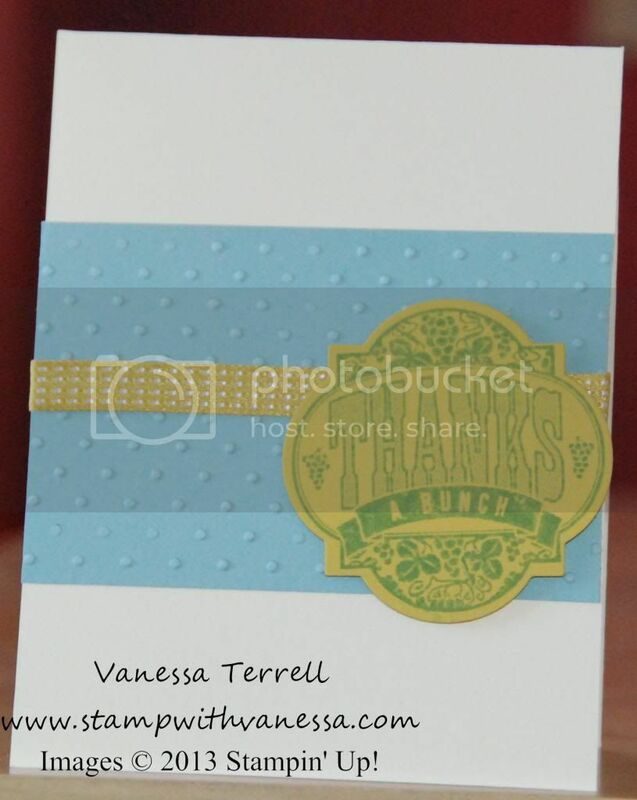 I used Baja Breeze along with Summer Starfruit and Very Vanilla for my card and of course I had to use my Big Shot. I'm going to miss Baja Breeze but I'm sure I will fall in love with another color! Here's how my card turned out! I like this stamp set because it coordinates with our Window Frames Collection Framelits Dies.